Price advantage We are manufacturer and the source, can supply you directly, save the agent fees and reduce your cost. Big order come with big discount, trial orders are We accept OEM/ODM/OBM business, if you have any further questions, please feel free to contact us. Because of reliable product quality, original styles, exquisite workmanship, complete specifications, and reasonable prices, we receive favors and supports of extensive consumers. 1 YRS Shantou HaiYing Houseware Co., Ltd.
Rub a thin layer of vegetable oil onto the cast iron skillet surface. With the company developing and meeting the global market needs now we are doing the international business by ourselves. JQ people always attach great importance to quality controlling from the very beginning to the very end. 9 YRS Foshan Nanhai Sun Leaf Metal Product Co., Ltd. 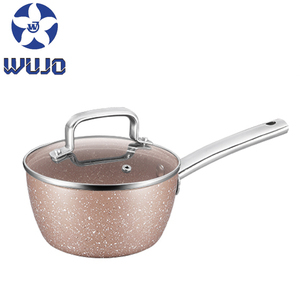 Hot Sales stainless steel saucepan /soup pot/houseware pot Household necessary steel saucepan With mirror polishing Can be with client's logo Unique design of cookware set Best delivery ,high quality guaranteed and competitive price Can be customized according to customer's samples or requirement S teel saucepan /soup pot/houseware pot YF0266-MSGG Description: Hot Sales stainless steel saucepan /soup pot/houseware pot Item No. etc Pattern: 2013 new design; We update designs every month; All shapes and styles are available; Our Strong points : 1, With more than 5,000 items for ur choosing' 2, Very reasonable price with high quality; 3, QC team especially to insure a good quality; 4, 30-60days fast delivery time 5, Strong production capacity More Detail Photos: steel saucepan steel saucepan steel saucepan We hope we can give you best service and You also can leave your kind advice to us! ** Let &rsquo; s talk more and find a way to cooperate. 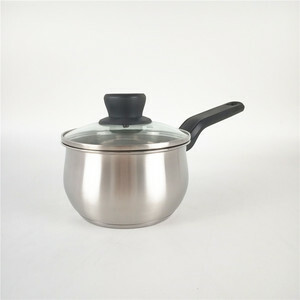 Alibaba.com offers 2,703 pots saucepans products. About 31% of these are soup & stock pots, 31% are cookware sets, and 21% are pans. 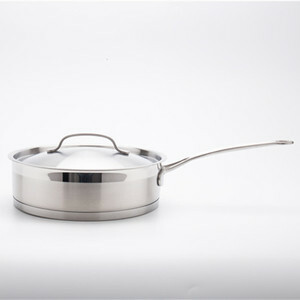 A wide variety of pots saucepans options are available to you, such as ce / eu, fda, and sgs. 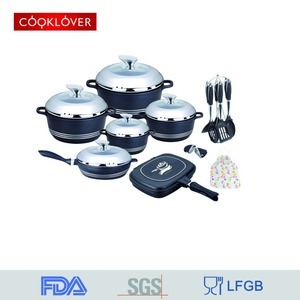 You can also choose from cookware sets, pans. As well as from eco-friendly, stocked. 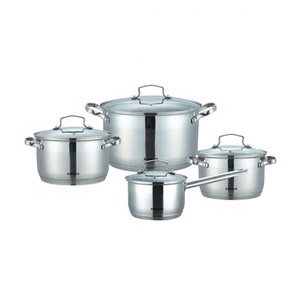 And whether pots saucepans is stainless steel, aluminum alloy, or aluminum. 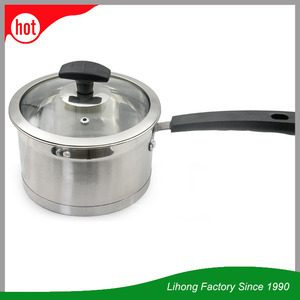 There are 2,703 pots saucepans suppliers, mainly located in Asia. 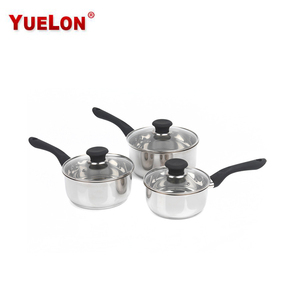 The top supplying country is China (Mainland), which supply 100% of pots saucepans respectively. 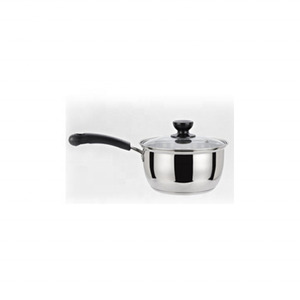 Pots saucepans products are most popular in North America, Western Europe, and South America. You can ensure product safety by selecting from certified suppliers, including 852 with ISO9001, 225 with BSCI, and 214 with ISO14001 certification.